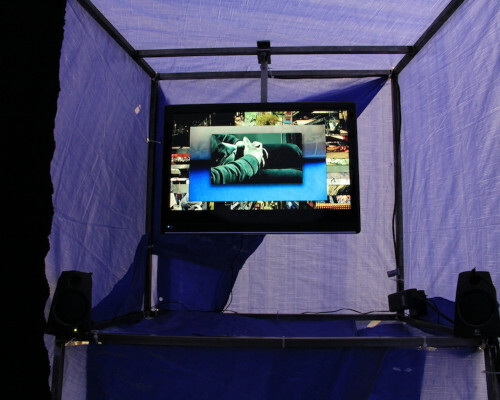 Steel, Tarpaulin, Flat Screen HD TV and Speakers. 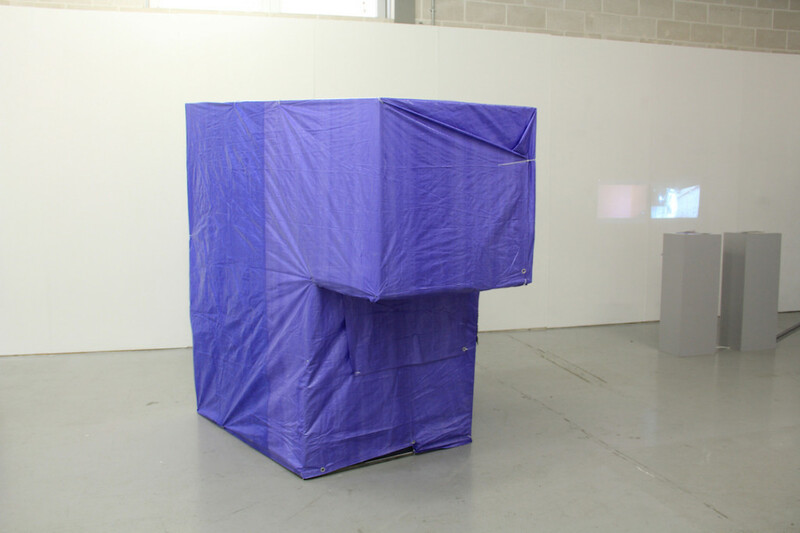 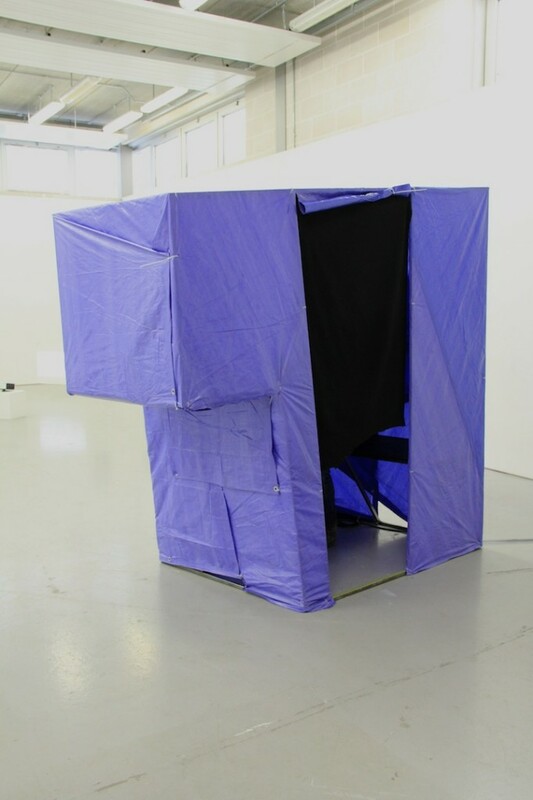 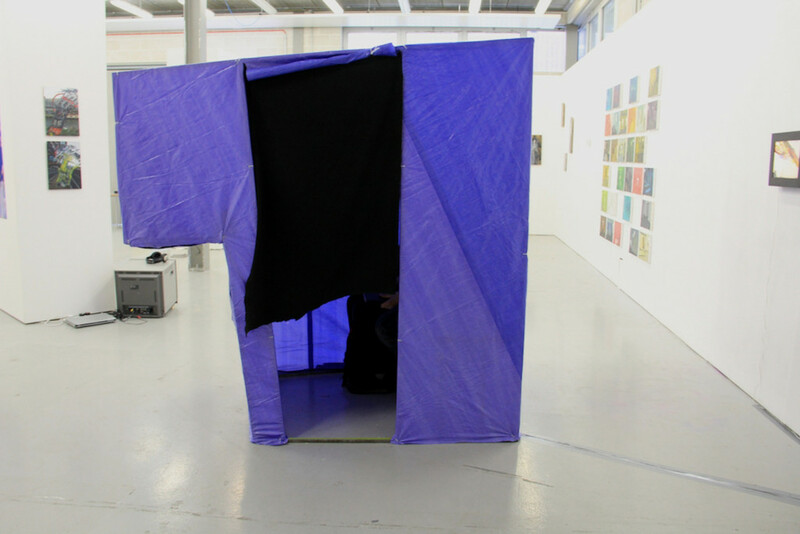 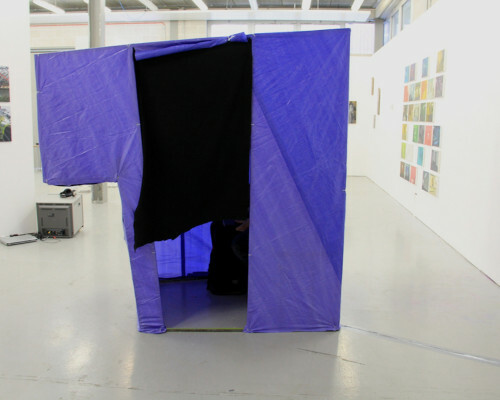 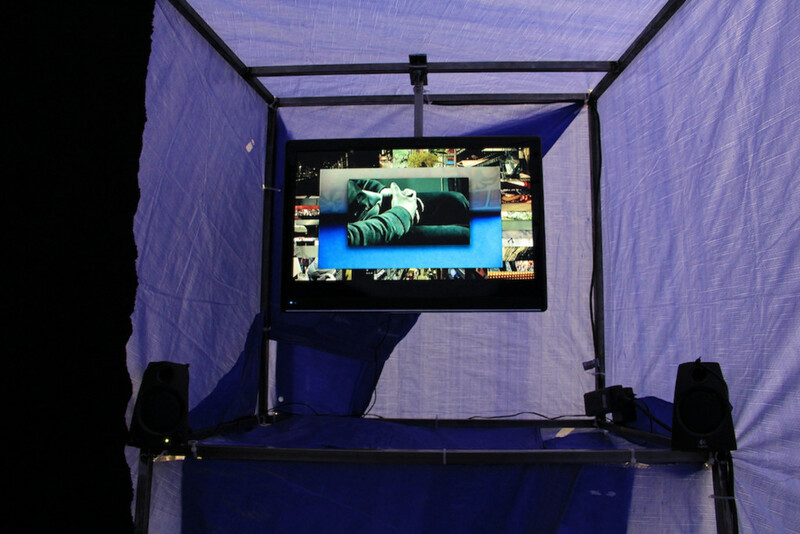 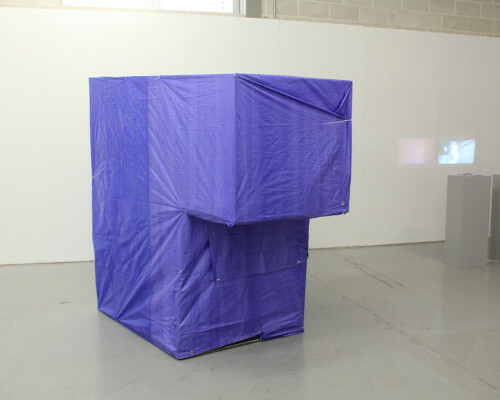 A viewing booth for ‘This isn’t a normal Sunday’ (background image) following research undertaken during a residency at Tokyo Wonder Site in March 2012. 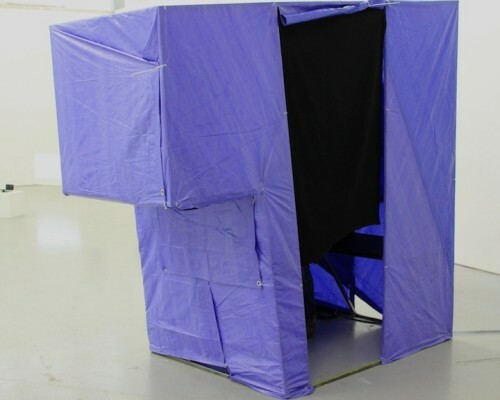 The structure itself draws on designs for video games booths and temporary housing.